As the plane gathered speed, throwing up slush as it went, Captain Thain called out the velocities in ten-knot increments. At 85 knots, the port engine began to surge again, and he pulled back marginally on the port throttle before gingerly pushing it forward again. Once the plane reached 117 knots (217 km/h), he announced "V1", indicating that they had reached the velocity at which it was no longer safe to abort the take off, and Captain Rayment listened out for the call of "V2" (119 knots (220 km/h)), the minimum speed required to get the plane off the ground. However, when Thain glanced back down to the airspeed indicator, expecting the needle to continue to rise, it fluctuated at around 117 knots before suddenly dropping back down to 112 knots (207 km/h), and then 105 knots (194 km/h). Rayment shouted "Christ, we won't make it! ", as Thain looked up to see what lay ahead of them. The plane skidded off the end of the runway and, out of control, crashed into the fence surrounding the airport and then across a road before its port wing was torn off as it caught a house, home to a family of six. The father and eldest daughter were away at the time, and the mother and the other three children narrowly escaped with their lives as the house caught on fire. Part of the plane's tail was torn off too, before the left side of the cockpit hit a tree. The right side of the fuselage hit a wooden hut, inside which was a truck filled with tyres and fuel, which exploded. Twenty passengers died on board, and there were three subsequent deaths. 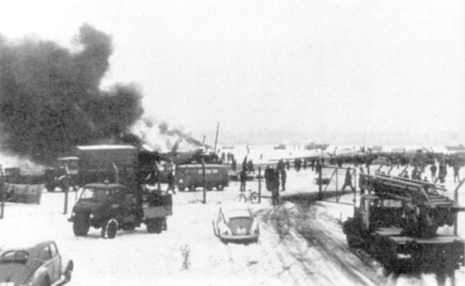 Upon seeing the flames licking up around the cockpit, Captain Thain feared that the burning fuel might make the aircraft explode and instructed his crew to evacuate the area. The stewardesses, Rosemary Cheverton and Margaret Bellis, were the first to leave through a blown-out emergency window in the galley, and they were followed by radio officer Bill Rodgers. Thain shouted to Rayment to get out of his seat, but Rayment was trapped in his seat by the crumpled fuselage. Rayment told Thain to go on without him. Thain clambered out of the galley window. Upon reaching the ground, he saw that flames were growing under the starboard wing, which still had an intact fuel tank containing 500 imperial gallons (2,300 L) of fuel. He shouted to his crew to get as far away as possible and climbed back into the aircraft to retrieve two handheld fire extinguishers, stopping momentarily to tell Rayment that he would be back for him when the fires had been dealt with. Meanwhile, inside the passenger cabin, Manchester United goalkeeper Harry Gregg was regaining consciousness, thinking that he was dead. He felt blood running down his face and he "didn't dare put [his] hand up. [He] thought the top of [his] head had been taken off, like a hard boiled egg." Just above him, a shaft of light was pouring into the cabin, so Gregg made his way towards it and kicked the hole wide enough for him to escape through. At 3.04pm, a third take-off is attempted. The plane fails to gain height and crashes into the fence surrounding the airport and then into a house. The port wing and part of the tail is torn off and the house catches fire. A tree shatters the port side of the cockpit, while the starboard side of the fuselage hits a wooden hut, causing a truck filled with tyres and fuel parked inside to explode. 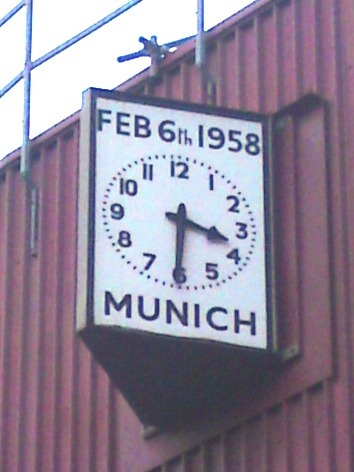 United were on their way back from a match against Red Star Belgrade - where Matt Busby's young team had secured a place in the semi-finals of the European Cup with a 3-3 draw - when British European Airways Flight 609 crashed on its third attempt to take-off after stopping in Munich to refuel. Mr Morgans, from Swansea, describes how the tragedy tore apart potentially "the best team in the world". 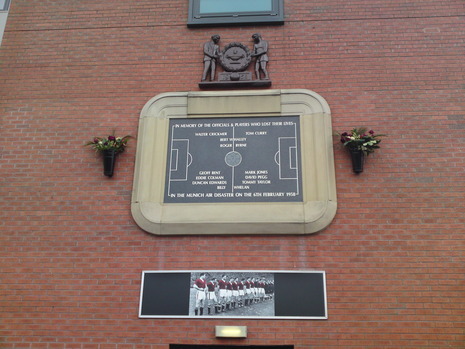 Friends and colleagues such as Eddie Colman, Tommy Taylor and Roger Byrne were killed in the crash, while star player Duncan Edwards died from his injuries two weeks after the disaster. "The memories are are always with me. I've got a picture of the last line-up in my lounge at home. I see that every day so I see the boys every day," said Mr Morgans, now 68. "We would've been world beaters. If that team hadn't been through the crash, we would've been the best team in the world. We had another 14, 15 years in front of us."